UPDATE-THE 4TH OF JULY FUN HAS BEEN POSTPONED UNTIL SEPTEMBER 1ST DUE TO THE RAINY WEATHER. Ladies and Gentlemen, boys and girls, children of allllllllll ages, the fine city of La Vergne would like to cordially invite you to the 3rd annual Fourth of July Celebration! This fabulously fun shindig is on (can you guess the date?) the 4th at Veteran’s Memorial Park. The excitement begins at 6:00 pm when the children can bounce themselves silly at the bounce house; families can enjoy free live music and food vendors start serving tasty holiday fare. 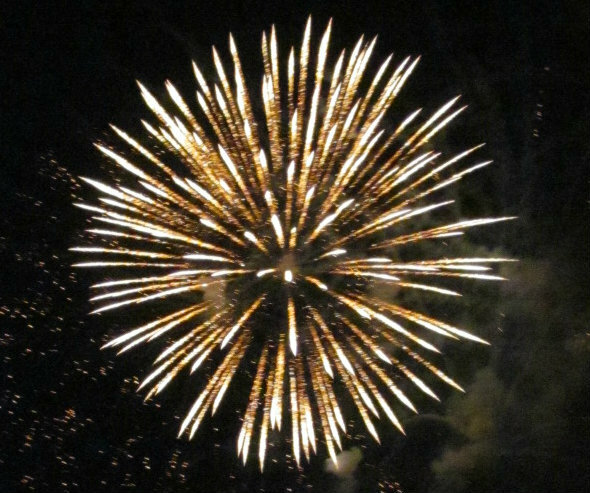 Our sky will light up with a breathtaking fireworks display beginning at dusk. Please come out and celebrate our nation’s Independence with family, friends and this amazing community we are privileged to reside in! While we are talking about fireworks, please remember that the most important part of this holiday is SAFETY! 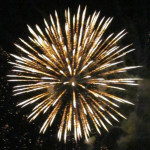 By city ordinance, we are only allowed to light our fireworks from June 21st to July 7th. We are very lucky that we have had a wetter spring/early summer this year and can enjoy shooting off a bottle rocket or ten in our own backyards (unlike last year when the drought caused an unfortunate ban.) Let’s just keep it safe. Remember to keep a bucket of water or a garden hose (with the tap on) nearby. Don’t allow children to light fireworks. Supervise them at all times, making sure they are a safe distance away from the booms. Don’t shoot fireworks off from your hands. Go to the nearest hardware store and buy a length of wide pvc pipe if you need to stand your firework up for shooting skyward. And, remember, one little stray ember can create a fire. Make sure you are enjoying your holiday safely so you are around for many, many more. Also, remember to keep your pets safely contained during your home fireworks displays. Many pets are sensitive to the noise of our backyard pyrotechnics. A scared animal may be more prone to escaping out of an open door. Make sure you protect them. Tell me, my smart and safe readers…what is your favorite part of the Independence holiday? Is it the picnic food? The time off from work to spend with family? The shiny fireworks? Let me know below.